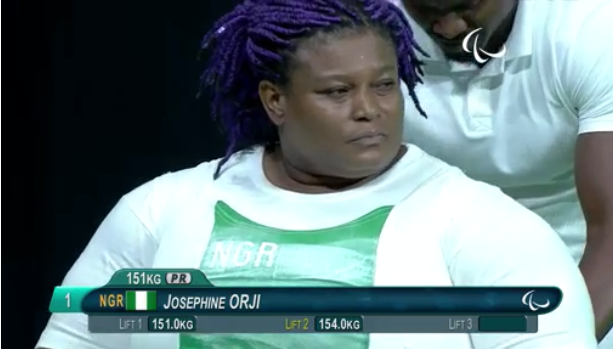 Josephine Orji on Wednesday won a gold medal in women power-lifting’s +86 kg category putting Nigeria’s gold tally at 8. Orji’s victory gave Nigeria its 11th medal at the Games, where it is taking part in three sports only. The 37-year-old Nigerian lifted 154kg to win her medal, while she lifted 160kg to set new world and Games records in the event. Marzena Zieba of Poland won the silver medal with a lift of 134kg, while Melaica Tuinfort of The Netherlands won the bronze medal by lifting 130kg.